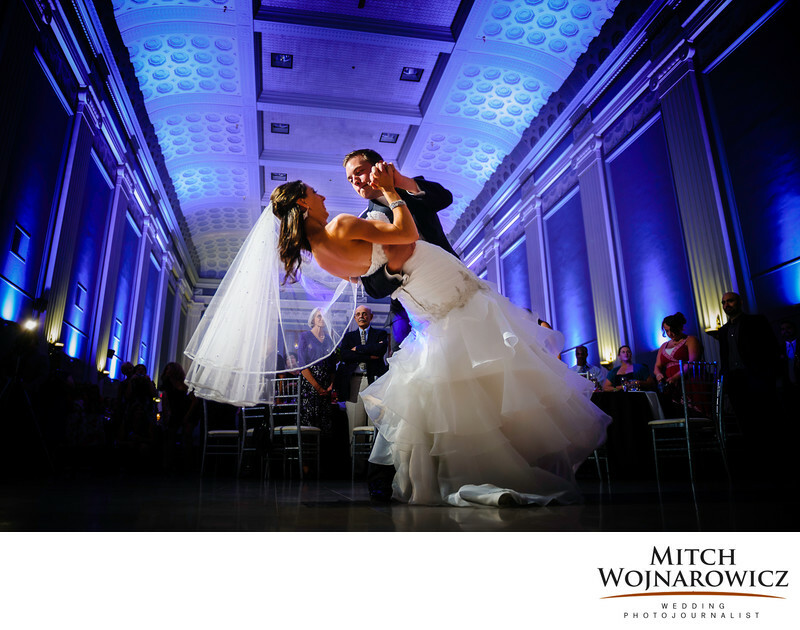 Key hall wedding photos..Key Hall wedding photographer Mitch Wojnarowicz was in position, dropped down low and made a spectacular and award winning image of a bride and groom's first dance with a deep dip of the bride mid way through. This image placed in the regular quarterly Wedding Photojournalist Association’s international competition among it’s members. It was a top 20 finisher in the reception category. More than 14,000 photos were entered in the competition that quarter from photographers all over the world...With the large room as a backdrop, a unique wedding photographer will look for the different but not outlandish angles which make standard photos into stunning wedding photos. Look for a photographer who has the vision to see these unique moments as they happen...When you want a photographer for your Schenectady wedding or anywhere in the capital district look for a wedding photojournalist who will bring you the pictures you need from your day without a long wedding photographer checklist that keeps you away from your family and friends for much of the reception.Keywords: key hall (3), schenectady (12).